Ocean Pacific Capital-Commercial Real Estate Loans, Low Rates! Ocean Pacific Capital has been closing Commercial and Apartment Loans and Oil & Gas,and Joint Ventures since 1977. We finance all commercial, construction and oil & gas joint ventures and loans from $700,000.00 to $300,000,000.00 worldwide. With direct access to the most aggressive investor sources in the world, we can structure a customized joint venture or financing solution for you, with the best terms possible. Our worldwide joint venture and loan department offers a variety of commercial options for purchase, refinance, construction, short or long-term financing and joint ventures. Ocean Pacific Capital specializes in Oil & Gas joint ventures and focus on student housing building loans, apartment loans, ethanol plants, shopping center loans, office building loans, mixed use loans, industrial and medical office loans, warehouse loans, mini storage loans, strip center loans, hotel loans, golf course loans, subdivision loans, and lot loans. We arrange joint ventures, equity participations, bridge loans, construction loans, acquisition loans, permanent financing and joint ventures. If you are looking for a commercial conduit loan, mezzanine loan, hard money, or construction financing, whether you are in the United States, or in any other country, with good or bad credit, we can help you find a program that meets your unique and individual needs. Even if you’ve been turned down elsewhere, rest assured we will have the options you need and a record of service you can trust. If you are in search of the best company for oil & gas or commercial financing, contact us with your scenario. For more information, and our recent closings, please visit our recent closings page. We offer superior commercial and apartment financing solutions, whether it is for purchases, new construction, cash outs or refinancing. 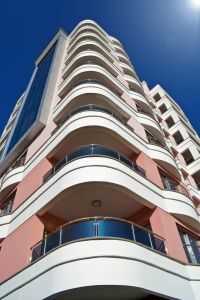 We provide financing for all types of multifamily financing, including apartments, student housing, senior living , low income housing and mixed-use properties. We can structure your apartment building loan with a fixed rate or variable rate and amortize it over a long term if you wish. We also provide financing for all other commercial real estate types such as offices, retail, hotels, and special use. For maximum leverage we can also structure equity or mezzanine financing in addition to first trust deed financing for most commercial property types. The highly experienced staff at Ocean Pacific Capital has a combined 92 years of oil & gas industry experience, specializing in joint ventures, equity and financing. Both domestic and international (case by case) oil & gas projects are of interest to us. With the recent fall in oil prices from a high of $100+ a barrel to below $30 a barrel, many funds and banks are still on the sidelines waiting for conditions to further improve. At Ocean Pacific Capital we see today's oil prices as an opportunity and we are more active than ever in oil & gas projects. We take a private, simplified approach to providing flexible joint venture, equity and debt financing structures for oil & gas projects in the U.S. and around the world. We find value where traditional oil & gas financing sources do not. If you have an existing or new oil & gas operation and need capital for acquisition, drilling, partnership buy-out or refinancing, we can help. If you are in control of proven reserves but don't have the runds to drill the first well or recomplete/workover your existing wells we can help. We are a leader in providing all types of mezzanine financing programs. Particularly in today's tight senior debt market, mezzanine is an increasingly important capital option for growing companies for many reasons. Most importantly senior lenders are becoming more and more conservative due to regulatory pressure, economic slowdown and growing portfolio difficulties. If you are looking for a commercial mezzanine conduit or construction mezzanine financing, we can help you find a program that meets your unique and individual needs. Wall Street firms often act as a "conduit" by which pooled loans can be sold to investors as commercial mortgage backed securities or "CMBS". Conduit loans are a permanent, fixed-rate commercial real estate loan structured on a non-recourse basis according to specific conduit loan underwriting and conduit loan documentation standards. We offer conduit financing with debt coverage ratios from 1:05 and up. Conduit financing is available on all types of commercial real estate property loans, such as apartment loans, industrial building loans, hotel loans, condominium loans, self-storage loans, restaurant loans, commercial center loans, strip center loans, subdivision loans, office building loans, mixed-use center loans, senior housing loans, golf course loans, A & D development loans, and lot loans. With many of the 75 million "Echo Boomers" born between 1976 and 1994 headed to college this decade, student housing finance has become an important niche in the apartment industry. The greatest increases in enrollment between 1990 and 2003 were concentrated in warmer states, such as California, Arizona, and Florida. The top growth schools for undergraduate enrollment were different from the top growth schools for graduate students enrollment, which could have meaningful implications for the type of housing needed at individual universities. Ocean Pacific Capital has been at the forefront of the growing need for structured financing of student housing buildings. With access to over 87 aggresive direct lenders and investors specializing in student housing finance projects, we can offer a comprehensive commercial mortgage loan program selection and provide a customized structured financing solution to fit your exact needs. If you need Commercial Monies, Equity Partners and /or Secondary / Mezzanine Financing, call our Commercial Loan Department at 1-800-595-1474 or simply apply for a free analysis now. We have the experience to get the job done! See why we are the best commercial mortgage company. Below are some of our selected joint ventures, loans and commitment letters. $30,000,000 Operating Loan & $30,000,000 Drilling Joint Venture Commitment. Utah, Wyoming, Kansas and Oklahoma. 7 year fixed, 30 year am. 10 year fixed, 30 year am. Ocean Pacific Capital is a worldwide commercial mortgage portal. We conduct business in the United States and throughout the world. When the U.S. vowed to stop any sales of Iranian crude, Secretary of State Mike Pompeo trumpeted America's ability to help offset supply losses. Venezuela's crude oil production is falling, according to the EIA. Brent crude oil reached $75 a barrel for the first time since October, as a U.S. decision to remove sanctions waivers on Iran continued to support prices. The WTI erased a portion of recent gains while the Brent edged slightly upward. For now only US-flagged vessels can move natural gas from American ports to Puerto Rico or the Northeast. Oil and gas companies looking to strengthen their workforce need to assess current skill levels and plan for the future in order to drive newer technologies forward. Higher oil prices can actually harm energy firms' CapEx programs, study concludes. The project will boost Fawley's ULSD capacity.